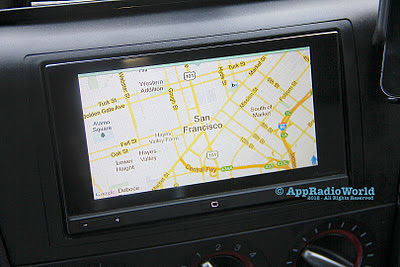 Fixed maps coming to GPS systems soon? Just recently, the National Highway Transportation Safety Agency (NHTSA) has given automakers guidelines on how to reduce distractions while driving. The very technical document includes suggestions for in-car entertainment systems including GPS devices. What it all basically means is that car entertainment and navigation systems may be quite different a few years from now. One of the main NHTSA recommendations that stands out is requiring GPS Maps to be fixed or stationary. No more animated navigation on the device. All you'll see is a fixed map. According to the NHTSA any action that requires viewing a device for more than 2 seconds would amount to a distraction. Even car entertainment systems are actually a distraction nowadays. So what does this mean for the future? If stricter laws and guidelines take effect, car systems like the AppRadio would face issues in getting the "road-safe" stamp. Cell phone laws are a whole other issue. One can only guess as to what car entertainment systems will look like in the next few years. The Knight Rider era is coming, if it hasn't already. No more fiddling around with gadgets while driving. Just talk to your car and it will entertain you while you zip through city streets or the interstate. You can read a more detailed report on this issue on CNET by clicking here. feds are doing the wrong thing. The NHTSA should persuade car manufacturers well to reduce the use of advance entertainment technology in vehicle dashboards. This stricter policy could also reduce car equipment sales in the future.